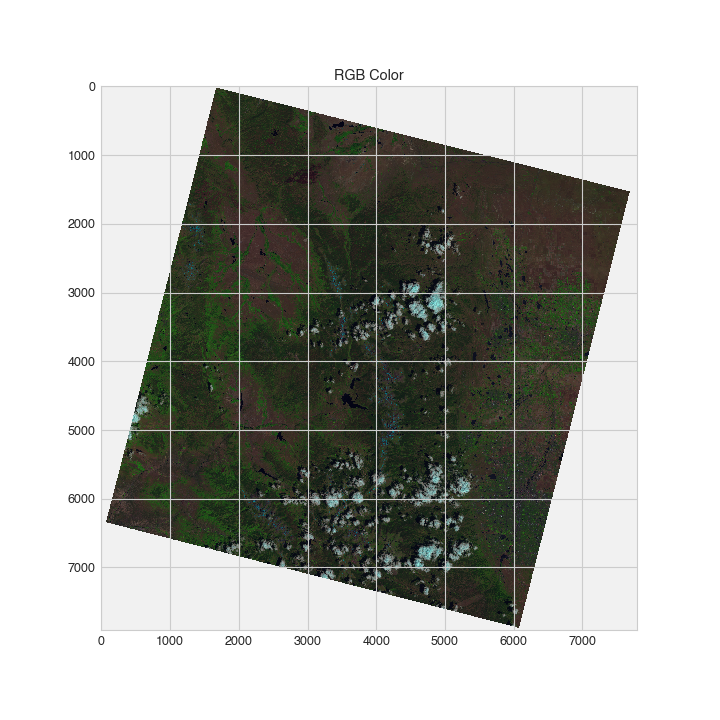 An open-source Python package for simple loading of Landsat imagery as NumPy arrays. When downloading Landsat imagery from USGS Earth Explorer, the datasets contain many bands (.tif files) and a few metadata files (.txt and .xml files). espatools is built to parse the .xml metadata file to read all of the bands for that dataset and provide a convenient and intuitive means of accessing that metadata along side the raw data in a Python environment. espatools can be found on GitHub and PyPI. The package heavily uses properties for the creation of strongly typed objects in a consistent, declarative way. PVGeo has implemented an interface for espatools to read Landsat imagery via XML metadata files. Check out PVGeo’s Landsat Reader for more details. We think espatools is easy to use; give it a try and let us know what you think as this is just the alpha-release! First, take a look at this example for PVGeo where espatools has an interface for direct use in ParaView. Then checkout this Jupyter Notebook for a demonstration of some simple plotting after reading Landsat imagery in a Python environment.